Going there, I had expected Berlin to be similar to London. But Berlin is actually quite young - the first recorded mention was in 1244, making it younger than Cambridge. And given that a lot of the city was leveled at the end of the War, it doesn't have nearly the sense of palpable history that London does. Instead, it has more striking, and tragic, recent history. 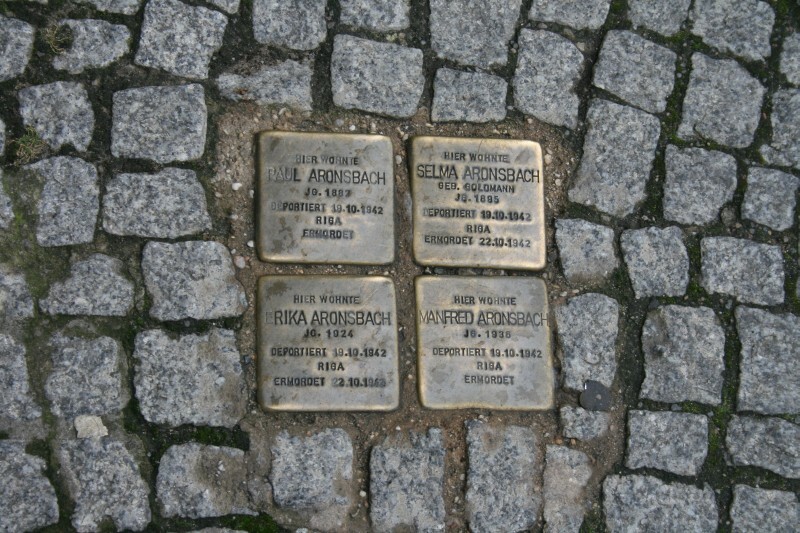 After I left the partying mob on Saturday afternoon, I crossed the road from Tiergarten and passed a sign noting the birthplace of AktionT4 - the Nazi scheme to exterminate the old and handicapped. The victims were only exonerated in 2007. That's a fairly weird juxtaposition. And the story of a city walled off into 2 warring parts, although something that existed in my life, sounds like something out of a fairy tale. 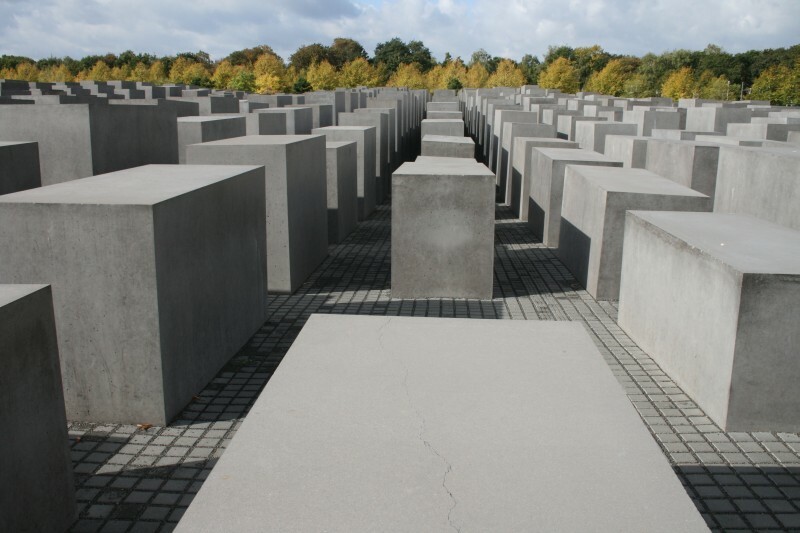 The Jewish memorial is a section of undulating ground covered in different sized stone columns. It's an odd sensation to walk among them. This is the footpath over the road from my hotel. The boy that was murdered was 6 years old. I was surprised just how much grafitti there was. It covered everything. 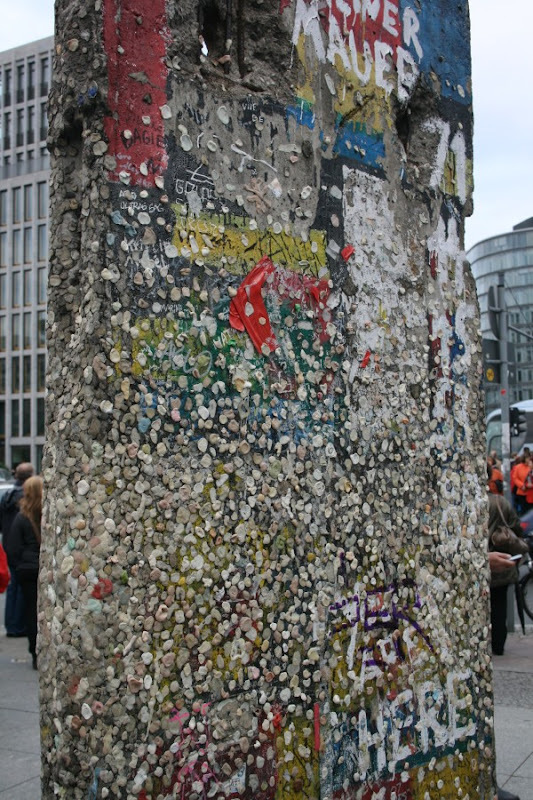 Berlin has a debt of 58 billion Euros, so I guess maybe they skimp a little on cleaning the walls. I don't know if you can see that clearly, but that's a dianetics testing table. That's scientology, baby! That black device is a real emeter. If you want to read about what they're doing, have a look here and here. 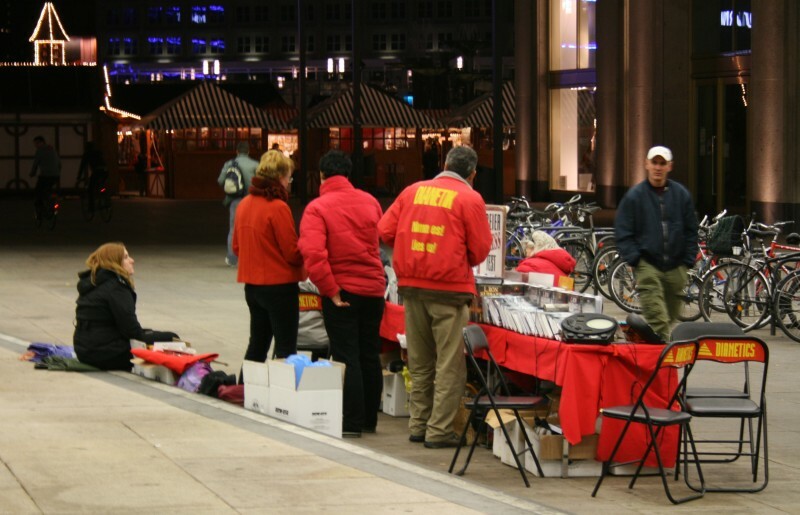 In Germany, Scientology does not qualify as a legal religion. 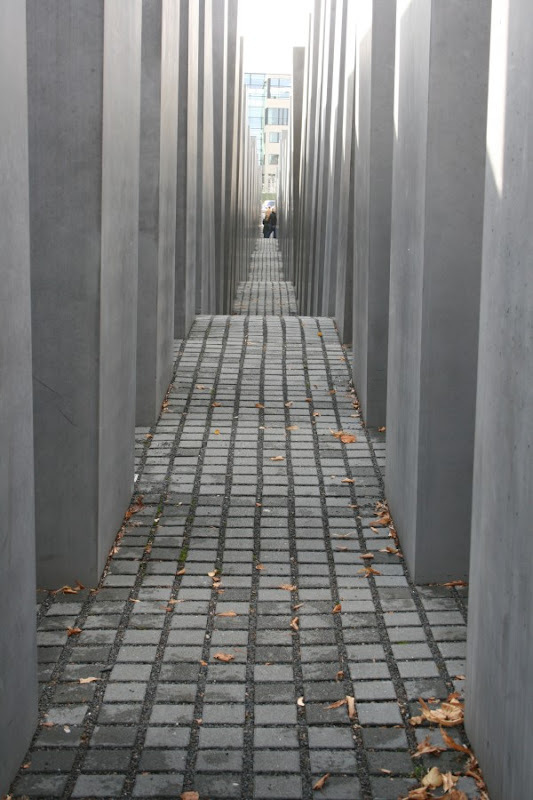 A few years ago, Dustin Hoffman, Goldie Hawn and a number of others in Hollywood wrote an open letter to the German Chancellor comparing the blocking of Scientology as a religion with the persecution of the Jews. I wonder if that went down well? 30ish and bored, I've moved from New Zealand to the UK to try and inject some excitement into my life. A site I've set up to record notes for future trips. Any ideas gratefully received.